The Airwheel Q5 is a well praised model released by the Airwheel Technology, a leading manufacturer of self-balancing electric unicycles based in Los Angeles. 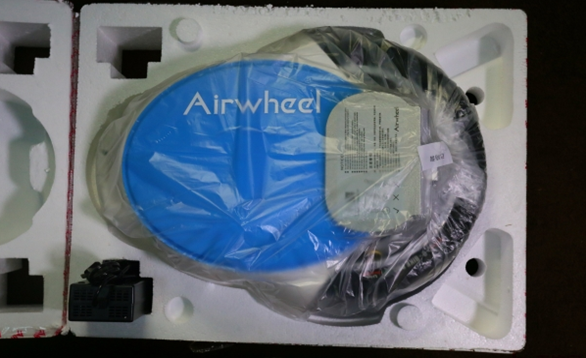 I bought my Airwheel Q5 a couple of days ago. There are single-wheeled versions of Airwheel, but I chose Airwheel Q5 because it’s twin-wheeled and seems easier to get the hang of it. 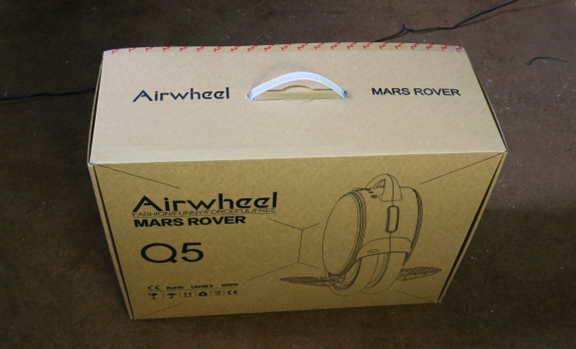 Here’s a close look at Airwheel Q5. The device is compact and small as you can see from the picture. In the box, there are accessories including a charger, a balance strap and a user manual. Currently, the Airwheel offers two colors with Q5 for users to choose: apple green and sky blue. I chose the blue one. ion of Airwheel Q5 for your reference. Unlike Airwheel S3 – the platform version, Airwheel Q5 is basically a twin-wheeled unicycle. So learning Q5 is a bit more difficult than S3. It requires more of your balancing ability. Beginners would take some effort and patience to get the hang of it. To my surprise, I didn’t take too much time to find my balance on the wheel. After one hour and a half, I was quite comfortable with my Airwheel Q5 and could take turns and go back and forth freely. The essence of mastering the wheel, which I figured out later, is that one has to gain the speed as soon as he gets on the wheel, otherwise he will lose balance and fall off easily just as one does with a bike.